Dubai: His only daughter wished to be a doctor after she passed grade 12 last year. But Hazrat Hussain, an Indian worker in Dubai, had to ask her to opt for nursing since he won’t be able to bear the cost of education in medicine. 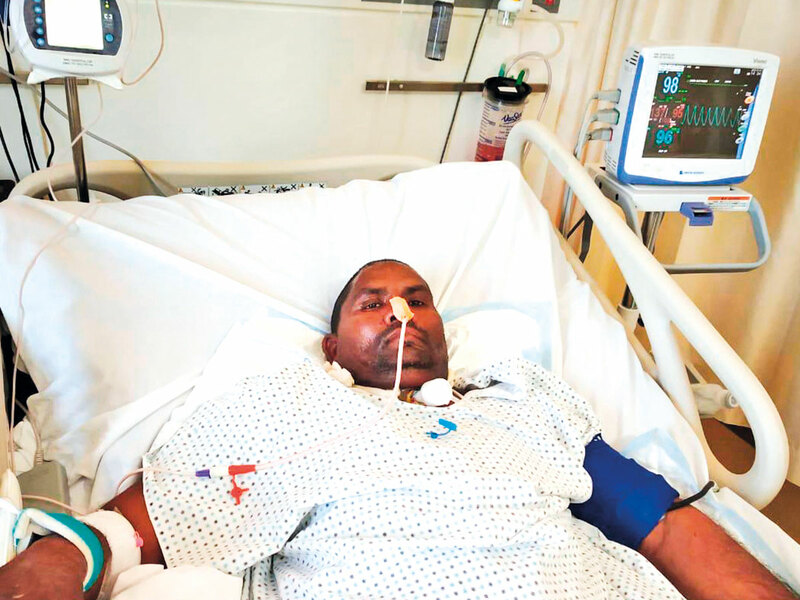 However, the 46-year-old father, who worked as a steel fixer earning Dh1,000 salary, will not be able to fulfil that promise also since he suffered a life-threatening stroke at his worksite in November that left him paralysed on his left side. He also lost his speech. Hailing from Bihar, Hussain, who underwent three surgeries, was flown to New Delhi for further treatment on Monday night. A male nurse accompanied him along with a part of the bone of Hussain’s skull that was removed during the brain surgery, said one of his colleagues. “The bone flap will be fixed again after his condition stabilises,” he told Gulf News. Speaking from Bihar by phone yesterday, Hussain’s daughter Tamanna Khatoon said her mother was still on a train on her way to the All India Institute of Medical Sciences in New Delhi where her father was admitted. Though Hussain’s colleagues are trying to pool some money to send to his family, Girish Pant, a social worker in Dubai, said the family will require more support from the community. This is especially done if a patient has to be airlifted and there is fear of more pressure build-up. In such cases, the dura, which is a thick skin under the cranium, is used to cover the internal parts of the brain. Surgeons ensure that the small portion of the cranium that is removed is kept in a sterilised solution. Once the patient reaches his/her destination, the piece of cranium is placed back surgically, bone cement is put in and the dura stitched over it.